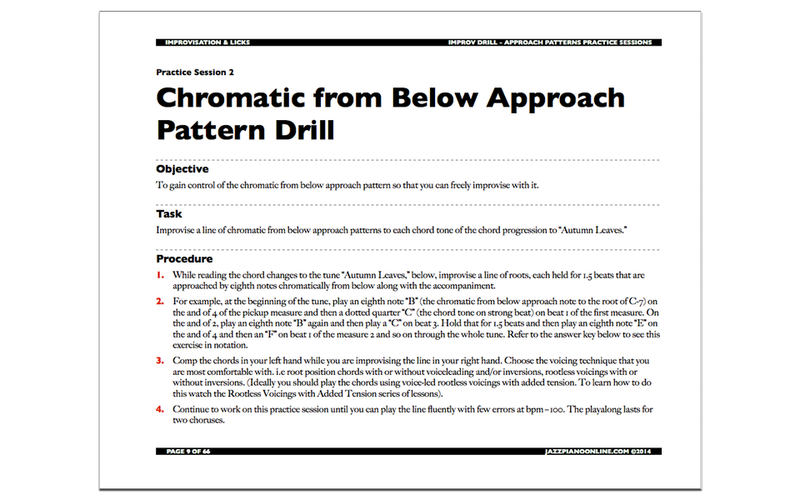 Comprehensive, in-depth, jazz piano lessons on any device. 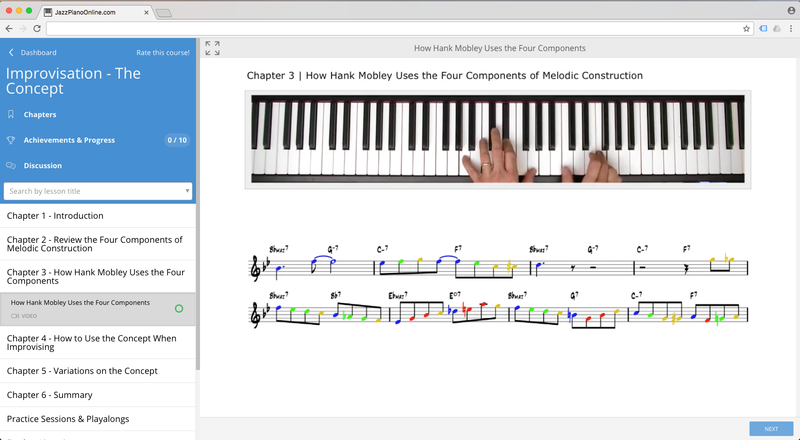 Watch every detail as it happens on the keyboard and in notation. Rewind, fast-forward, pause and repeat as many times as you need to. 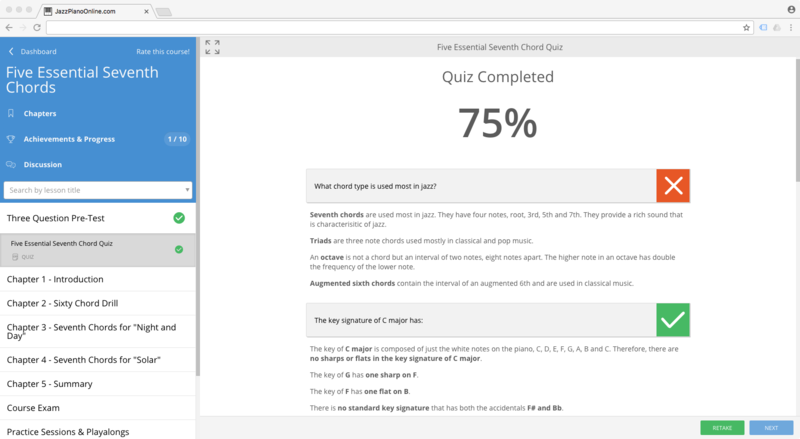 Track your work with an easy-to-navigate control panel with clear progress indicators and assessments. All facets of jazz piano playing are covered. Study only topics that interest you, independently and at your own pace. Or, follow the Road Map for a progressive sequence of lessons. 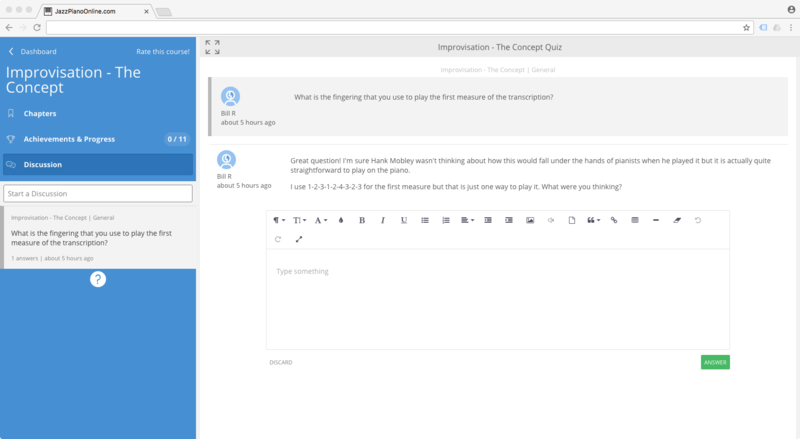 Interact with your instructor to ask questions, build context and stay motivated or start a discussion with fellow students. Monitor completion status across all active lessons to achieve your goals to plan future study. 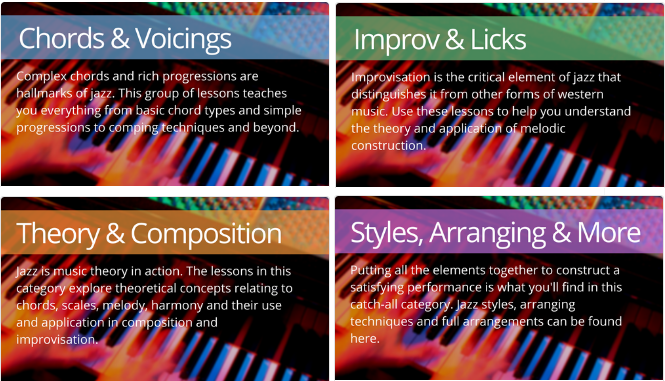 Reinforce lesson content at the piano with tunes, exercises, arrangements & backing tracks. Yours to keep even after your subscription expires. 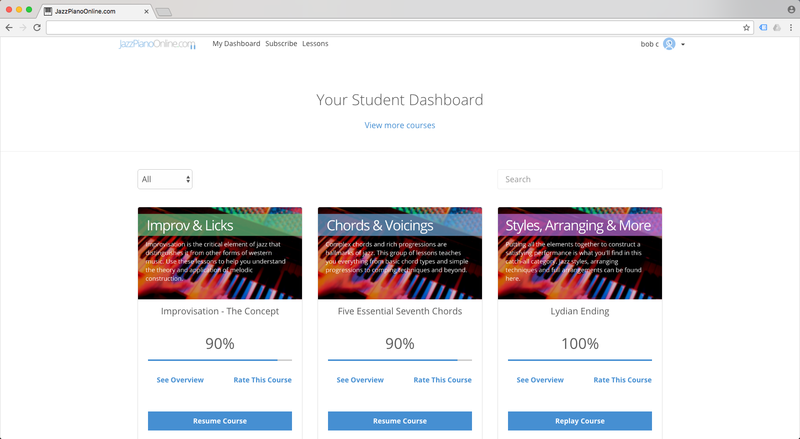 Subscribe with your credit card and gain access to all lessons instantly. Subscribe NOW!